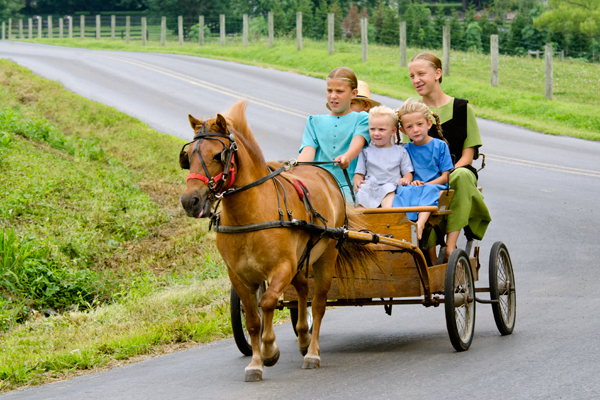 This bunch of friends enjoy a ride around the back roads of Lancaster county. When you are sitting in such close quarters,you cant help but have a great conversation about all the things that young minds ponder. 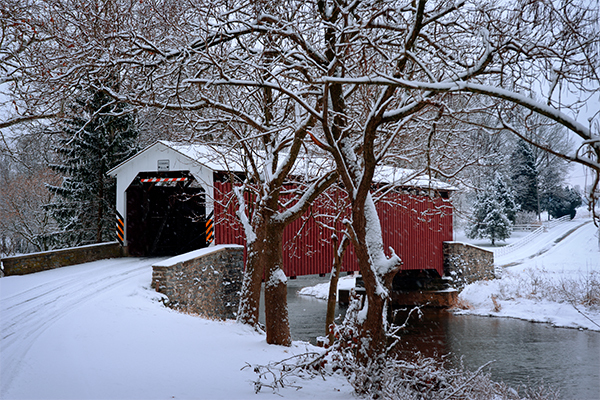 A fresh round of snow creates a serene scene in rural Lancaster County as it blankets a covered bridge and the surrounding landscape. 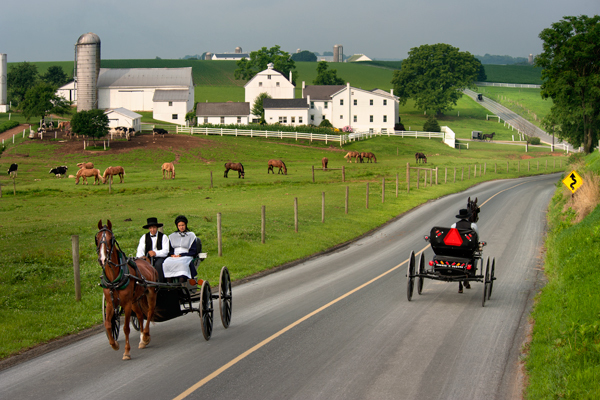 This Lancaster county scene is one that is repeated each sunday morning as buggies head to church at rotating farms.Shots like this always involve a little bit of luck and I was pretty excited to see an open buggy heading up the hill and was very focused on capturing it at the right point in the frame,but when the other one came from behind,I was really excited. If you look closely there is one coming out the lane and one on the far hill. The one in the lane stopped and asked what I was shooting and I said the nice farm down there,which brought a slight smile. Every once in a while I run into a passing motorist who stops and wants to question me about what I am shooting and that happened this morning. A large van pulled up beside me,asked what I was shooting and when I said the farm down there,they said did you get permission? I then asked if he was with the photography police?,to which he rolled up his window and drove away. The buggy heading down the hill was the one and only headed that direction,and that is one thing that is very hard to figure out. Everybody and their brother is heading north and this lone guy heads south? 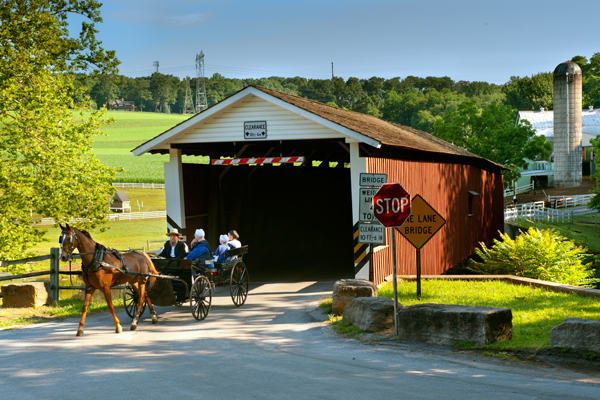 This is what I consider to be a very ideal location with the covered bridge, the farm, and the family heading down the road together in the wagon. What drives me crazy are the signs that are needed to warn every idiot that has no common sense. We have weight limit signs, one lane bridge signs,and most recently the addition of the wooden beam that hangs at the entrance to alert trucks not to go through. Most people would say no truck would ever try to go through such a structure, but right here in our county a month ago, some idiot actually drove a tractor-trailer through a covered bridge and got stuck going out the other end because the road went down slightly and his trailer jammed against the roof trusses. 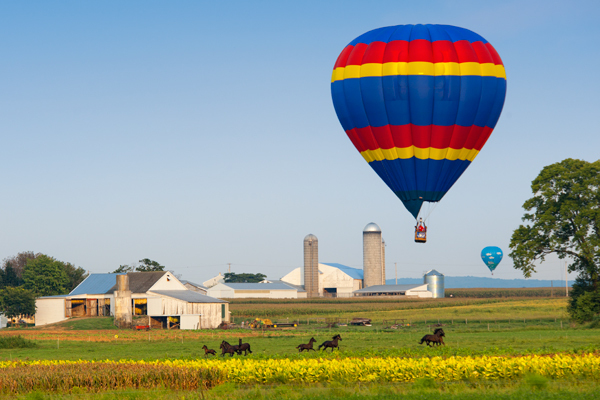 As I recall from the news, he blamed his GPS for sending him on a back road. Picture yourself in a big rig at the entrance here and thinking to yourself, I am sure I can fit. Every time I look at this image,all I hear is the old classic tune from the Five man electric band, Sign,Sign,everywhere a sign,blocking up the scenery,breaking my mind. I found it too exhausting to even try cloning out the signs in Photoshop,so I left them. Too much wood detail to bother trying.Interestingly enough, the weekly newspaper just ran a story about the wooden beam hanging down, and called them headache bars.The intended purpose is to give truck drivers a loud smack to hopefully warn them not to proceed any further.